Enhance the comfort of your living room or family room arrangement with this rocker recliner. 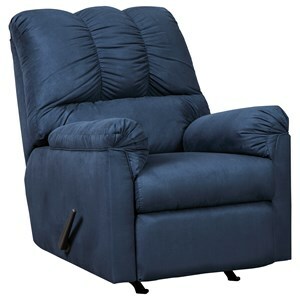 This rocking recliner will bring comfort into your home, allowing you to lay back with your feet up or rock in place. 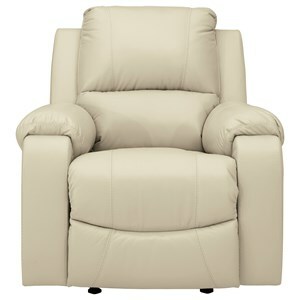 The sitting area is covered with padded cushions and pillows top the arm-rests. 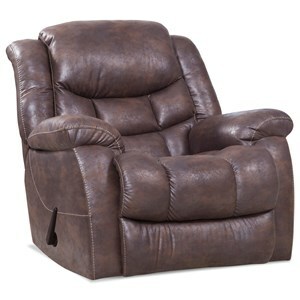 The recliner is accented with visible seam stitching and works well in casual styled rooms. The 5407 Rocker Recliner by American Furniture at Prime Brothers Furniture in the Bay City, Saginaw, Midland, Michigan area. Product availability may vary. Contact us for the most current availability on this product. This casual sofa collection will bring an at-home feel to your living room or family room space. 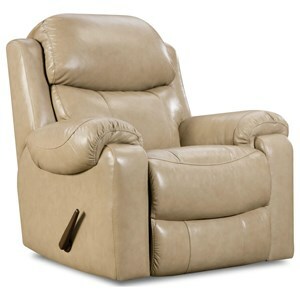 This collection includes a sofa, loveseat and ottoman as well as a chair-and-a-half and recliner which are not pictured. 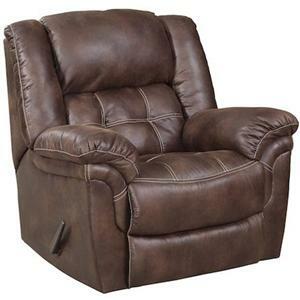 The 5407 collection is a great option if you are looking for Casual furniture in the Bay City, Saginaw, Midland, Michigan area. 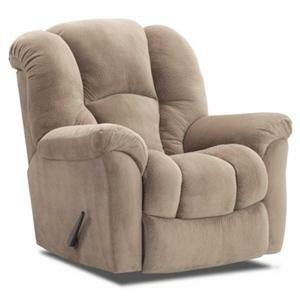 Browse other items in the 5407 collection from Prime Brothers Furniture in the Bay City, Saginaw, Midland, Michigan area.